Mahaia Oliveira is one of many brave female warriors I have had the honor to know. Her Spirit shines as bright as her smile. With extensive, geopolitical knowledge, she is a rare gem amongst youth these days. At 21-years-old, her passion is lighting fires that spreads inspiration into the hearts and minds of masses of people across our world. I am proud to stand in solidarity with her and be moved by such compassionate wisdom. Mahaia was one of 8 brave warriors arrested for using her own body to block entry to a Monsanto/Bayer Facility in Woodland, California last week. Listen in to this interview with Mahaia and her father, Mauro Oliveira, on KPFA 94.1 covering the entire experience, arrests and overall message of The Monsanto Project. Mahaia (far left) with her father Mauro Oliveira and siblings just after their release from jail for Monsantos Funeral demonstration last week. Mahaia led and organized a powerful protest against US Government drone strikes, in 2016. Through this kind of creative action, a strong message of Resistance is communicated, which impacts the heart. Mahaia also took a stand against clearcut logging and all other forms of deforestation in the Sequoia Redwood forest of Northern California, near Strawberry Rock, in September of 2016. In a time when there is global chaos and threats of ecological disaster, it is amazing to witness noble spirited youth such as Mahaia, standing up against the destruction of future generations. These words have stuck in my head for days. I hope they also impact you in the same way. I hope this inspires more women and youth to mobilize into action because we are reaching a very scary and real threat to our existence. Climate change, political corruption, corporate evil, genocide, fraud…..the list goes on. Another powerful voice for women, is a young budding 13 year old journalist named Janna Jihad. She is from the Occupied Palestinian village of Nabi Saleh. A symbol of Palestinian Resistance against an oppressive Israeli Military Occupation, Janna began documenting and reporting Israeli crimes since about age 7. Janna is recognized as the world’s youngest journalist and has inspired countless Palestinian youth and the international community for decades, from her village in the Occupied West Bank. Recently Janna was honored at an event titled: “Girl’s Breaking Borders: A Conversation With Girl Activists From Across The World.” Hosted by the Novo Foundation and Grantmakers for Girls of Color. They are convening on funding a transnational movement for Indigenous girls around the world. Their third annual G4GC convention will help engage funders in conversation about regarding global network connections and create space to better support vibrant international movements working to dismantle the structural barriers facing indigenous girls and girls of color. 17-year-old Palestinian activist Ahed Tamimi has become a huge inspiration to Palestinian women and women activists around the world! On December 15, 2017, Ahed Tamimi was filmed slapping Israeli Occupiers who were trying to shoot children playing on the street from her property. This was only hours after those same Occupiers shot her 14-year-old cousin at close range with a rubber-coated steel bullet. The whole world watched Ahed stand up to her brutal Occupiers. She was defending her life and the lives of innocent children, with her own bare hands. The video went viral and has been named the “Slap heard ’round the World”. From the age of 7, Tamimi and Janna Jihad marched through their village faithfully every Friday, leading protests for their freedom from brutal military occupation. An Occupation that has abduted, illegally detained, tortured and brutally murdered many members of the Tamimi family, including the children. After being dragged from her home in the middle of the night by Occupation Militants in December of 2017, Ahed and her mother were both forced to endure 8 months of Military Detention. These are horrific war crimes. The world weeped for Palestinian children and then, 16-year-old Ahed Tamimi. 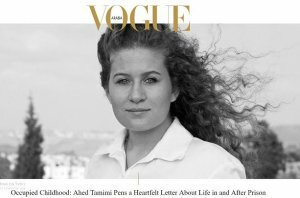 On October 04, 2018 Ahed was featured on the front cover of Vogue. In an article titled: “Occupied Childhood: Ahed Tamimi Pens a Heartfelt Letter About Life in and After Prison”. Women share a natural connection to life that men never will experience. Women give birth to our children. There are many courageous women and youth with a conscious, standing up for our future. I am proud of all our women warriors, risking it all on the front lines to call us to a better way of living. Women are our true leaders and men need to step it up and back them. I call upon all men to uplift the voices of our women in the fight for change. Women have been suppressed by men for ages and it is time this changes. To all the women warriors out there, WE SALUTE YOU! Thank you from my heart! 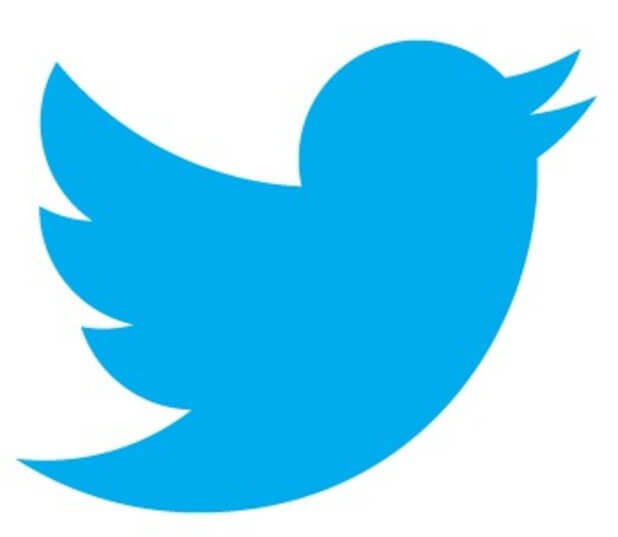 Please follow Janna Jihad’s Facebook page and Twitter page and share her posts, it will make a difference!